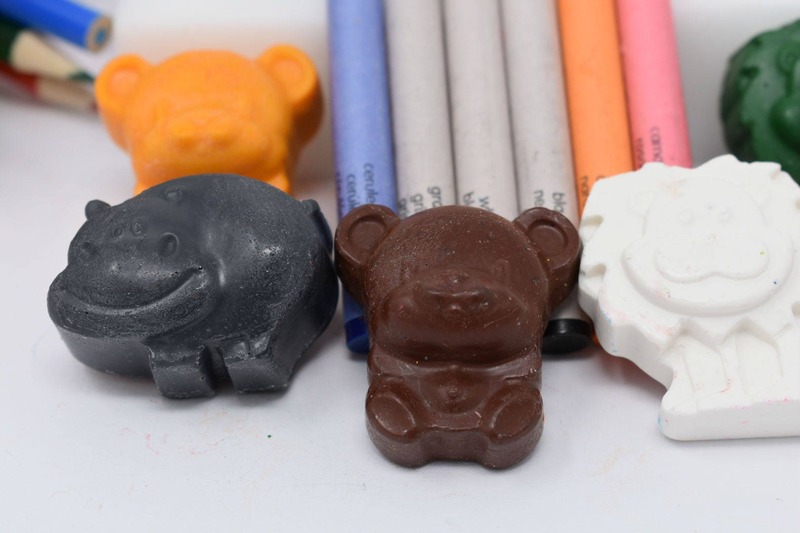 These crayons are repurposed broken crayons that have been sorted by color and re-formed into a Zoo Animal Shape. 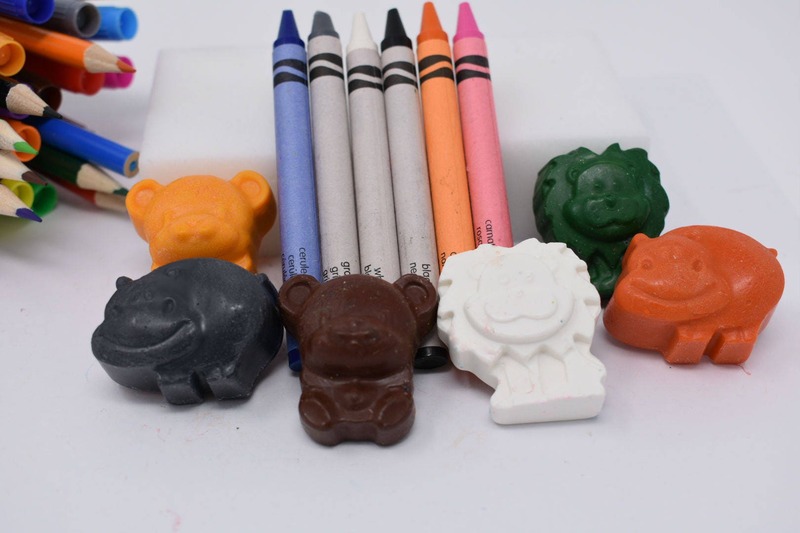 The set comes with 6 crayons in varying colors. Zoo Animals range in size from approximately 1" x .375" x .50" to 1.25" x 1.375" x .50" in size. 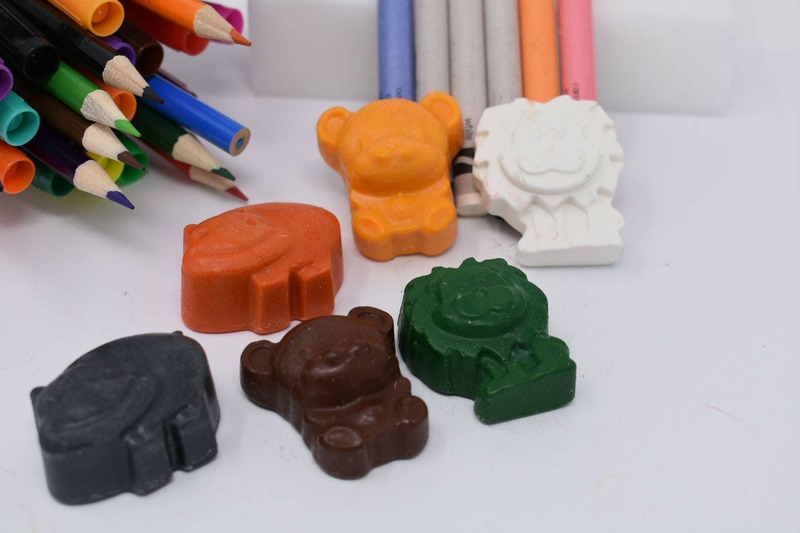 These crayons are all made of recycled non-toxic crayon pieces. 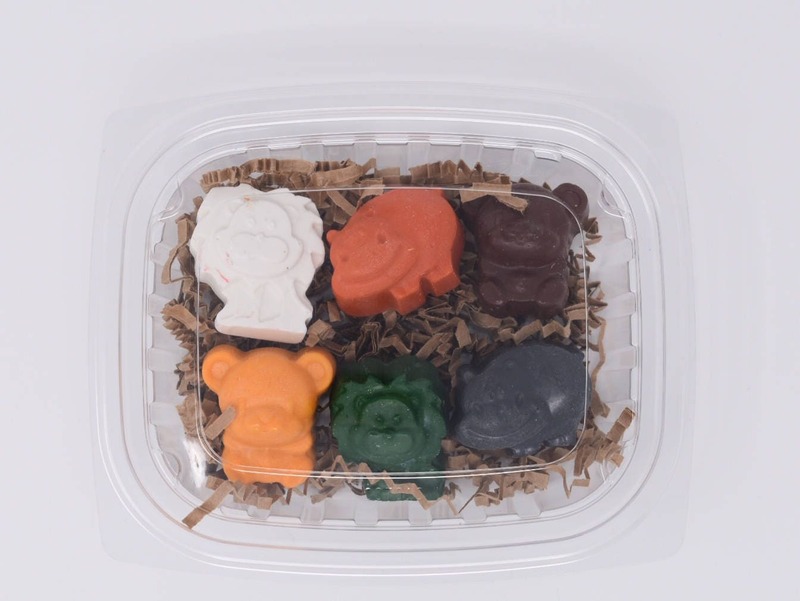 They come in packages that make great party favors or small gifts!